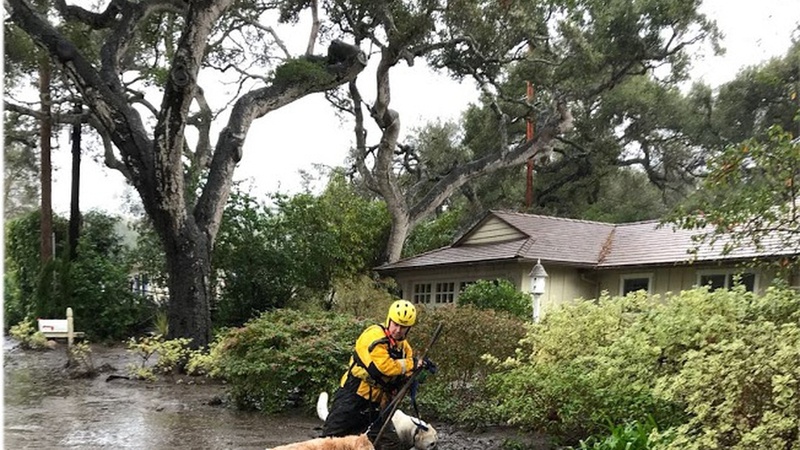 A tragic mudslide in the coastal Santa Barbara community of Montecito has left over a dozen people dead and missing. The destruction is only beginning to be measured. As search and rescue teams continue to comb through debris looking for survivors and recovering bodies, we speak to those affected and seek answers about evacuation orders and emergency alerts from county officials. Thomas Tighe in shock Tuesday morning as rescuers get to his house. Did the emergency alerts work? Many are questioning why much of the damage occurred within the Voluntary Evacuation Zones, and whether emergency alerts delivered to cell phones actually worked properly. What could happen next time it rains?